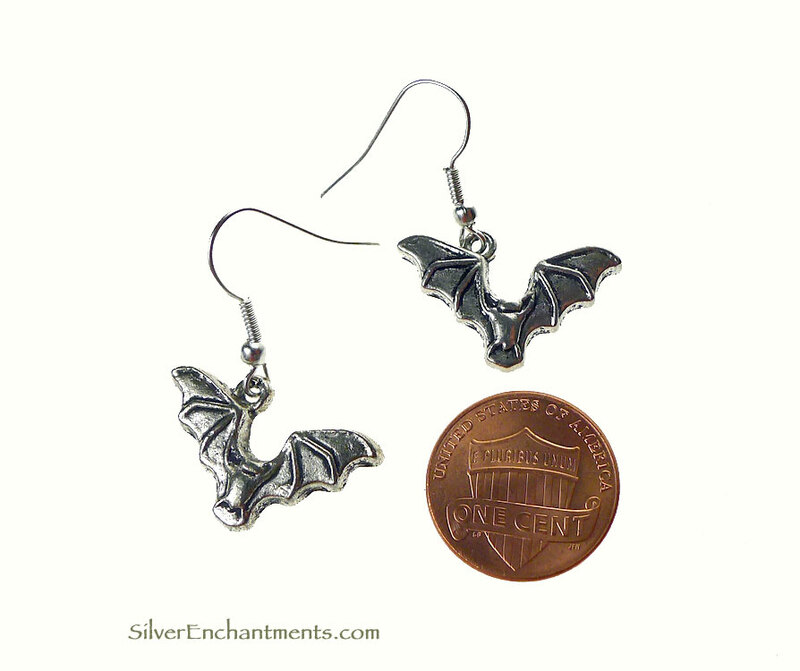 Overall these Tibetan Silver dangling bat earrings measure 1-1/4" from earwire top to bottom. 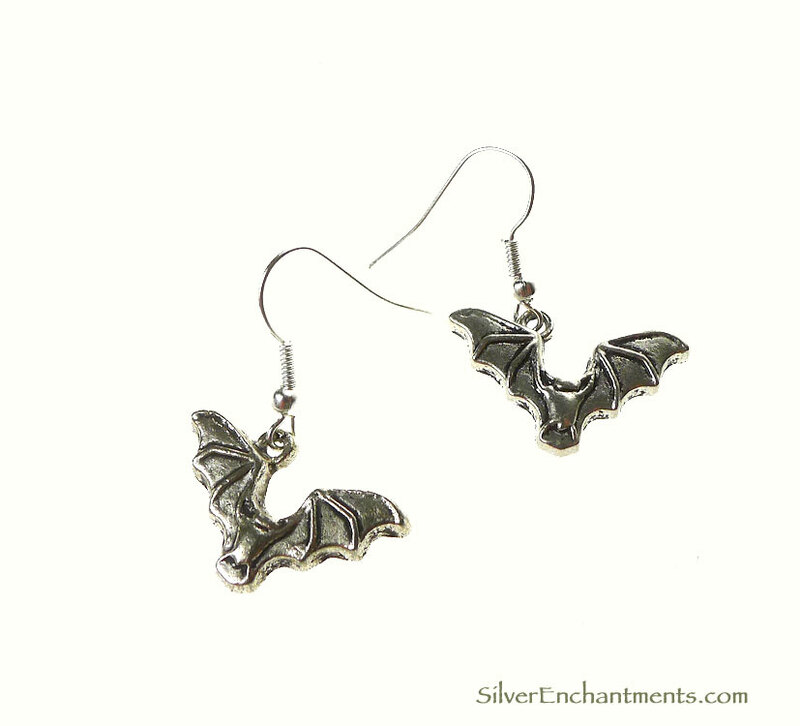 Sold by Pair on your choice of earwires. 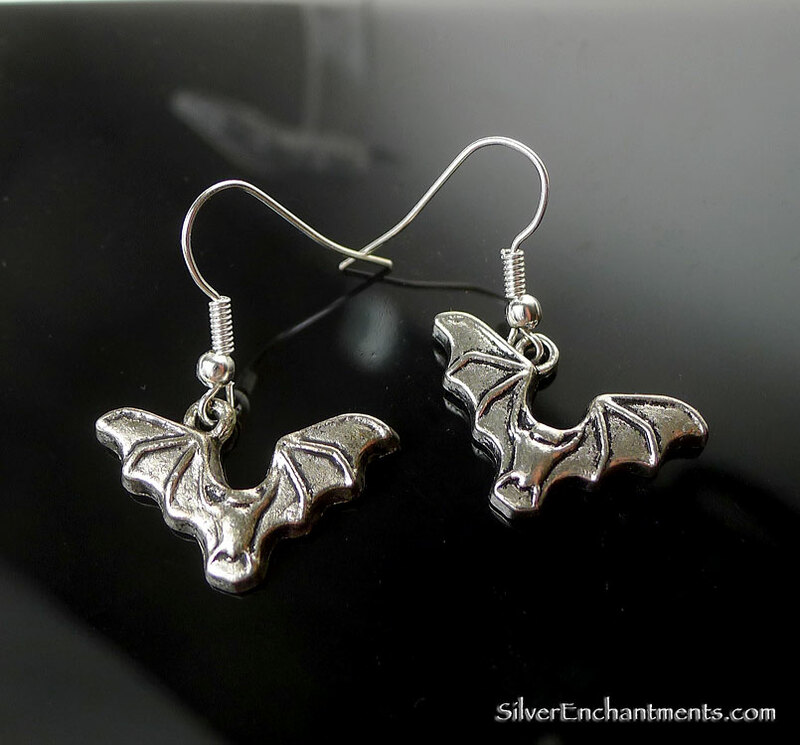 The animal symbolism of the bat comes from a keen observation of this magnificent animal by Native Americans -- They recognized that a bat is highly sensitive to its surroundings and therefore was considered a symbol of intuition, dreaming and vision. 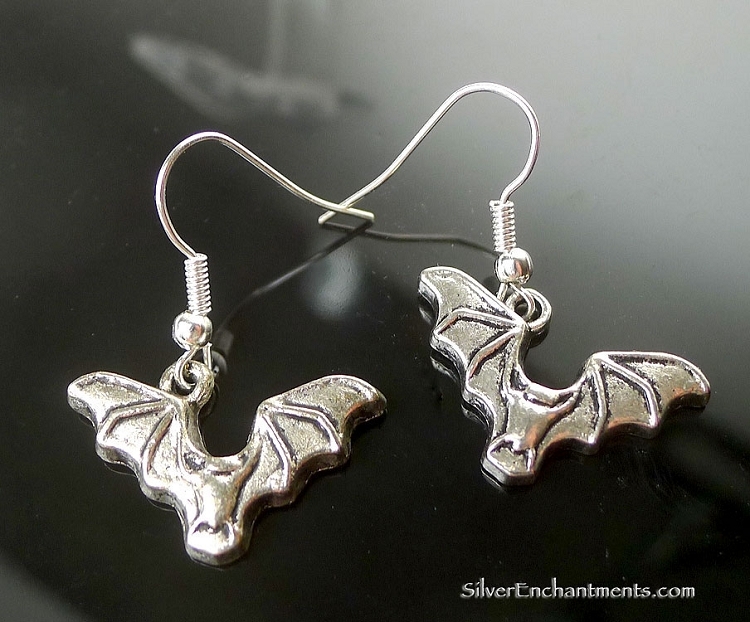 This made the bat a powerful symbol for Native American shamans and medicine people.